Conducting waste audits in Vietnam is a key step to stop plastic from flowing into our oceans. This #GivingTuesday, will you help us combat ocean plastic pollution? The holiday season is just around the corner, and I want to invite you to kick it off with us on #GivingTuesday, the Tuesday after Thanksgiving. #GivingTuesday is a global day of giving and a great opportunity to support a cause close to your heart and create meaningful change. 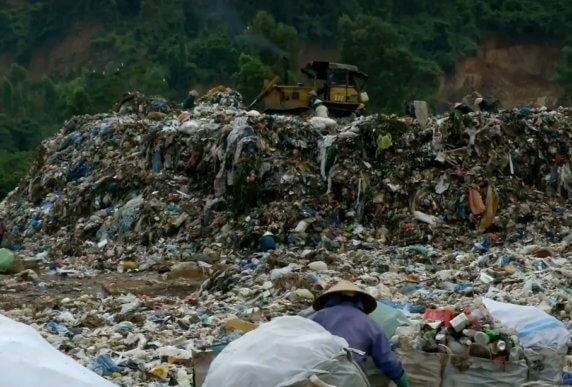 As my colleague Nicole shared in a recent blog, curbing plastic pollution in Vietnam is one way to help save our oceans from an inundation of trash. A key first step in our campaign in Vietnam is joining with local partners to conduct waste audits. By sorting through hundreds of pounds of trash, ranging from food waste to plastic bottles, we and our partners help develop tailored, site-specific waste reduction plans that increase recycling and composting and cut down on the amount of trash that needs to be landfilled. These waste audits also reveal the global brands producing most of the plastic pollution. We feed this data to our international coalition #BreakFreeFromPlastic to put pressure on international corporations to phase out single-use plastics and develop more sustainable packaging alternatives. When you join us this #GivingTuesday, your support will help provide supplies, stipends for local partners, and expert training to conduct 4 additional waste audits in Vietnam in January 2019. Donate now to lock in your gift and help us reach our goal of raising $1,000 this #GivingTuesday. Follow us on Facebook and Twitter for exciting updates and to learn how you can join our peer-fundraising campaign—even if you yourself can’t donate. Share this page with friends and family and encourage them to join the movement. We’ve got just one week left until one historic day of giving. Let’s do this!